A print transport, freight forwarding and logistics company throughout the UK and Europe. Falcon offer a reliable door-to-door service that ensures your consignment is delivered quickly and safely. We can deliver anything from small item such as a letter to your larger consignments of pallets & crates. Falcon realises the importance of being able to offer a larger geographical coverage. We have the competence to combine freight solutions, courier delivery and road transport to meet our client’s requirements by sourcing a tailor made solution for your needs. Road transport is the most convenient method of delivery as goods can be collected from the point of supply and delivered to your chosen destination with little or no intermediate handling. Falcon can offer a cost effective road freight service using our own fleet of vehicles with carefully chosen carriers who will ensure your consignment arrives on time, every time! With the technology today we track all our vehicles by the second. With the support of our working partners and strategically placed hubs we are able to deliver throughout Europe and beyond whilst maintaining the highest levels of service. 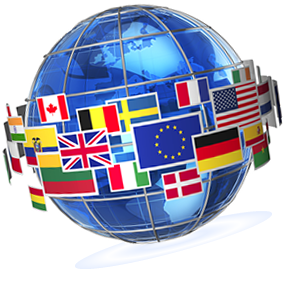 With our vast knowledge of European rules and regulation’s we guarantee a smooth express service into Europe. Rest assured Falcon have the full skill and experience to offer an unrivalled coverage and service.